Messiah Prince Sheridan Damien Ritzinger, better known as Prince Damien, is a German singer of South African descent, born on December 12, 1990. 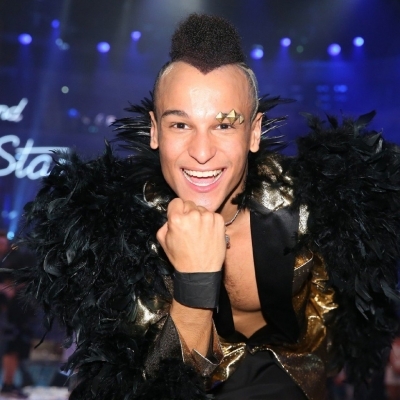 In 2016, he won the thirteenth season of "Deutschland sucht den Superstar", the German edition of the music competition show "Pop Idol", and released his major label debut "Glücksmomente", which features pop songs composed by Dieter Bohlen, two weeks later to moderate commercial success and mostly negative reviews . Even though throughout the show he was noted for being an outstanding personality and singer, the album was widely criticized for being generic and disposable . Prince Damien is known for his extravagant costumes and performances, his trademark being three spikes attached to his left eyebrow .